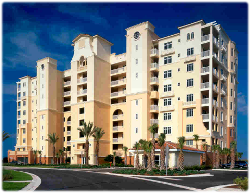 Completed in 2005, Minorca is a vibrant seaside village set on 38 acres that border the Smyrna Dunes Park. Stretching from the Indian River to the Atlantic Ocean, its seven residential buildings contain 310 homes, a casino clubhouse with fitness center, billiards room, library, tennis center, and two waterfront pavilions - all surrounded by boardwalks and natural dunes. Each spacious residence is strategically angled to capture the expansive views of this off-the-beaten-track fishing and boating paradise, and each is an easy drive to Florida's finest arts, nature, recreation and cultural venues.